2014 was a busy year for Storci and it also brought a lot of gratifications. What are your thoughts about it? 2014 was important for us. 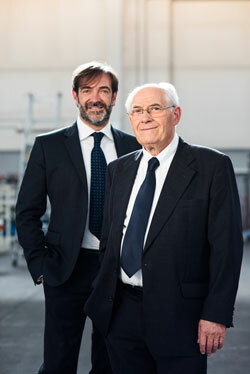 A year full of innovations and confirmations, which saw Storci as a main actor in an ever-expanding market. As usual, side by side with our partner of Fava. We are working with them on many important projects, like the one on gluten free pasta. As far as traditional pasta is concerned – including high quality special shapes (Naples’ style) – the Italian market remained stable. In the international markets, we had the chance to notice a growing interest for special shapes: a large number of business operators are becoming conscious of the added value this niche can represent. I do not want to forget Northern Africa where Storci continues to keep its position as market leader for cous cous, the staple food of the area. And for all our clients – both old and new – interested in expanding and diversifying their production, we have launched our new turnkey plants for instant pasta, a new and versatile product suitable for all markets. We are also developing turnkey solutions for other products: we are sure that the turnkey approach represents an important service for all the business realities that are making or planning their entry in the pasta market. Storci attended many international fairs last year. What kind of feedback and results did you get? The Storci Team was present in several exhibitions around the world: from Russia (Agroprodmash e Upakovka) to Algeria (Djazagro), from India (Food Tec) to United Arab Emirates (Gulfood). Not to forget about Italy with Cibus Tec in Parma where we presented – with our partner BS – all our solutions for ready meals. We shall do no less in 2015. As a matter of fact we will be present not just at Ipack Ima, but you will find us in March both in France (CFIA in Rennes) and in Germany (Anuga in Koln). In addition, there will be for sure other venues in the second part of the year. The reason for this effort is that we believe them to be very interesting events, with a relevant strategic importance. Nevertheless, they do also represent an opportunity to have direct contact with our clients and friends. More info: click on Fairs and events! Research and Development was a constant for Storci in 2014: will it also be the same this year? Definitely yes! R&D is the real “heart” of our company. We have increased, and will continue to increase, this area. Our main goal is continuous improvement both for existing plants and new production technologies.